Roku. We surpassed 3000 Roku subscribers on January 16th. Zimbabwe, Africa. Living Water of Life International (Steddie Muserera) and the saints in Zimbabwe held their First Big Sunday meeting February 9th. Praise and Worship in South Bend, Indiana. Water of Life Ministries con- ducted meetings in South Bend, Indiana on January 18th and February 15th. Bringing Forth Fruit. Before I was formed in my mother’s womb, God knew me and ordained me a prophet to all of the nations of the world. God anointed me at the Garden Tomb in Jerusalem June 16, 1974; over this time I have ministered to many of God’s people. 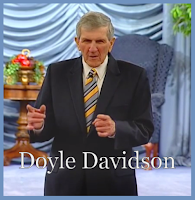 First, God led me to minister to my first wife, Patti Davidson, who went to heaven in 2003, Kathy Davidson Mai, my daughter, as well as Terre Brown, Kathie (Small) Davidson, and many others. Going forward, led by the Spirit of God, I see my ministry expanding in the earth and bringing forth fruit through the gospel throughout the world. Kathie Davidson. Kathie Davidson was born in Pennsylvania, and grew up in Randolph, Ohio. When she was twelve years old, the Lord visited her and said, “I want your life.” She was the daughter of a school teacher and after graduating from Akron University, Kathie also became a school teacher. God sent her to Texas in 1982. On a visit home at Christmas the following year, she visited a church in Newcastle, Pennsylvania with her mother and a minister spoke a prophecy to her that God was going to take her life and show her how to follow him. That prophecy was fulfilled when she came to Water of Life in early 1984. 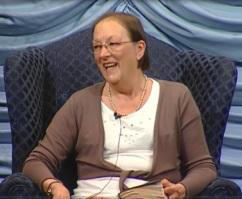 Kathie experienced the power of God not long after she came. One night I was ministering and God was healing back problems. Although I didn’t know it, Kathie had been suffering back pains, sometimes so severe that by the end of the day, there were times she was unable to walk. I sat her in a chair, one of her legs was shorter than the other, and I began to pray. Her hip went numb and the bone in her leg grew ¾ of an inch; she experienced something similar to what Betty Baxter had spoken of in her testimony. Kathie was healed that day. God brought Kathie to live in my house in January 2009 and an intense period of correction, instruction and training ensued. This past year, Kathie stopped traveling with the worship team to Joplin. Shortly after that change, she recorded a video message, sharing the gospel. I knew as soon as I listened to it that was God’s purpose for her— to be a minister of the gospel. Kathie’s first thirty-minute radio program aired in Cleveland, Ohio and Pittsburg, Pennsylvania on February 8th, in Canada, February 7th. Her ministry has continued to expand and is now being aired on 24 radio stations, covering almost all 48 mainland states. The 10th of November her program began airing five days a week in Israel and the Middle East on LeSEA Broadcasting’s shortwave antenna and her program is also broadcast on our Roku channel. Kathie began her own thirty-minute Livestream program on December 15th on Mondays and Thursdays, following our Broadcast at 11:00 AM and also ministers with me on the set each week. Kathy (Davidson) Mai. Kathy Mai was born in Oakland, California at Oak Knoll Naval Hospital while I was in the U.S. Navy, stationed in California. I was ordered to Yokosuka, Japan seven days before she was born and did not meet her until she was six months old. I began ministering the power of God in my home first. One day we were in a home and I was asked to pray; after considering it, I agreed. The power of God began to shake Kathy and heal her nerves; she continued over the course of years to be set free as I walked more in the power of God. Kathy traveled with me to Israel in 1974 and 1984, and joined me and others in 2003 and 2004 on all trips but two, as we traveled throughout the United States praying for the states. 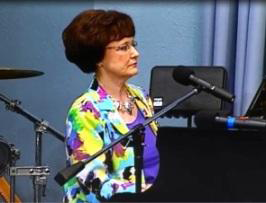 Kathy’s thirty-minute radio program began airing in Pittsburg, Kansas, June 21st and on LeSEA’s shortwave antennas on June 22nd. Today her program airs on five radio stations in the United States, one in Canada, and on all LeSEA’s short wave antennas, covering the world. She began airing in Israel, the Middle East and parts of Europe on November 9th. Kathy also joins me on the set each week, as well as ministers in song with her daughters, Candace, Ashley and Rachel, together they are The Mai Girls. She has her own thirty-minute Livestream program which began December 17th. She ministers on Wednesday and Friday mornings, immediately following our 11:00 AM Broadcast. On Kathy’s Friday program, her oldest daughter Candace Mai joins her in ministering the gospel to the world. Terre Brown. Terre Brown’s mother Jane was a woman who had faith, and someone I knew for years, as she attended Water of Life. She once said, “I am not going anywhere else. I have been to Water of Life; I have seen the power of God there that I’ve not seen anywhere else.” In May 1985, Terre along with her family began coming to Water of Life Church. In September 1992, at a home in Richardson, Texas, God commissioned me to deliver Terre Brown. Since that time, when God has directed, I have prayed with her and delivered her. On August 27, 2004 Terre flew with me to Columbus, Ohio to pray; I began to realize later, this correlated with when God began to intervene in Terre’s life and pull her up to walk with me. During some of the last days living in Argyle and Carrollton (1976 into 1977) God directed me to pray Colossians 1:13-14. That prayer was part of bringing Terre’s life into the plan of God. After much prayer with Terre over this past year, it was evident to both her and I, as I have prayed all these years, beginning with the 1970’s, God has intervened and changed direction in her life. In January of this year, God began bringing Terre to walk with me to a greater degree. On January 30th, I was in great distress, and asked Kathie Davidson to text Terre and tell her, “You must sing the song, God on the Mountain.” (It was a song that God had ministered to me in the 90s and we had found it again and received permission to play it during our Livestream programs.) She replied back, “I will, soon.” I broke through and overcame soon after. She initially sang it with her children, and later sang it as a solo, with her children singing backup. Terre began bringing forth solos: One Day at a Time, That’s What the Cross is For, I Have Returned and Who Am I, along with God On The Mountain. All these are songs that God ministered to me in the early years of my ministry and even in the 2000’s, except That’s What The Cross Is For which we received this year. It is a blessing to have someone in my ministry sing and minister these songs with power. Terre joins me on set during our Livestream Broadcasts and began her own thirty-minute program on December 16th. Her program, “Songs of Praise with Terre and the Browns,” immediately follows our Broadcast on Tuesday and Saturday mornings. 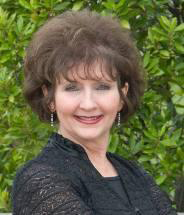 Terre believed God, believed the gospel and encouraged her children in worship and the things of the Lord. 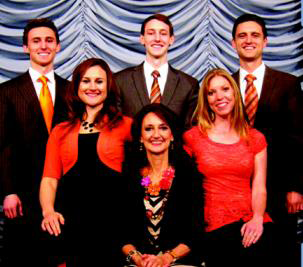 In March 2009 the Browns sang together publicly for the first time at the funeral service of Steve’s father. Soon after, on March 19th Terre and their children sang together at Water of Life for the first time. 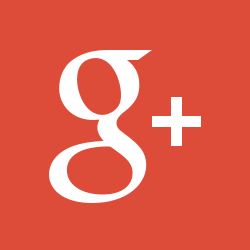 She began posting their recordings on Facebook at the direction of God in 2010. On October of last year I asked Terre, “Do you think the Browns could do Looking For A City?” They sang it during our Thanksgiving Program last year. Today, Terre along with her children: Phillip and his wife Lou Ann, Jenny, David and Daniel, minister as Terre and the Browns. 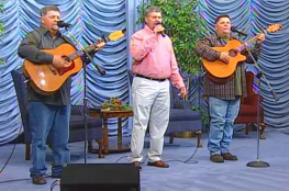 Her three sons minister as the Brown Brothers and they also join Paul Peters as the Water of Life Quartet. 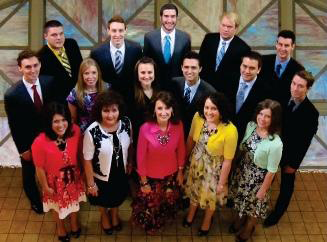 The Browns lay many of their own vocal and instrument tracks for their worship songs, playing their instruments: piano, cello, guitar, bass, and drums; God leading them, teaching them the technical aspects of recording. They also laid the tracks for all Terre’s solos, except one, and also the music for the Sweet Sixteen. Sweet Sixteen. I prayed and believed God for a singer and God gave me Terry Mai, a man I loved. Terry became my son-in-law, my fellow apostle and friend who walked with me for thirty years. He wrote the song, God Sacrificed the Lamb (1981). God directed me this year to bring all the Water of Life ministers of music together to minister as a group called the Sweet Sixteen and they made their debut June 15th with this song. Sweet Sixteen includes The Mai Girls, Terre and the Browns, The Water of Life Quartet and The Water of Life Boys. They followed in September with another song Terry Mai wrote, I Proclaim the Name of the Lord. In 1973, I was living in Argyle. God had led me into the wilderness to be tempted of the devil. I was raised to believe that Jesus Christ was Lord, that he raised from the dead and also that I should keep the Ten Commandments. To me they were contrary one to the other. I felt confused. I was afraid because I did not want to disobey God. One day God ministered these verses to my heart. As I read verses 6 and 7, the Lord clearly spoke to my heart, “Doyle this is the way I am.” It took me days to believe that was the personality of Jehovah. In the 1980’s I told Terry Mai there was a song in there if he would write it. He did. This song was a revelation of Jehovah and came from my heart and it is a message for the Body of Christ. On October 2nd Sweet Sixteen went public with their music on Water of Life Ministries YouTube Channel. New Livestream Broadcast Format. We began a new format on March 9th for our Broadcast, streaming and recording our broadcast live at 11:00 AM CST and rebroadcasting the program again at 7:00 PM CST. Plano in February and on Sunday February 23rd, they recorded their songs: Unto Our God, Who Hath Believed Our Report, Psalm 23 and O My Heart Will Rejoice, the last three, written by Denny. 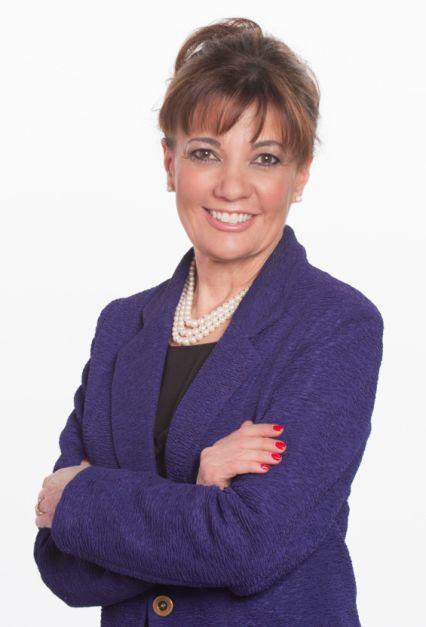 Glenda Schoen. On April 2nd, my youngest sister, Glenda Schoen came to visit. While here she ministered on our Livestream Broadcasts in song, singing; Mansion Over the Hilltop, Just a Closer Walk With Thee, and What a Day That Will Be. Heavenly Father, In the name of Jesus I want to thank you because your word says so, your word says so. Amen. Let the redeemed of the Lord say so. Right now all of you ...I am redeemed by the blood of Jesus, amen, from all of the power of the devil, delivered from sin and ready to serve the Lord with my whole heart…Thank You Father… Now Father, in accordance to that word in James 5, based on your word, there's no shadow or turning in you based on it when you say do it and we do it then you respond and I expect that the people that I'm praying for that you will heal their souls that you will heal their bruises, heal their wounds, forgive their sins, set them free completely from the powers of darkness so that they can hear your voice and obey you and walk upright in the gospel. Many were delivered and set free as the singers ministered, and myself and others made intercession. We continued to obey this instruction for a number of weeks until the Spirit of God directed otherwise. Water of Life Church of Oklahoma. Water of Life Church, Oklahoma was dissolved in May. New Staff. Anthony and Misty Reece of Oklahoma joined my staff at the end of May. Anthony is my assistant and also the building and grounds manager. Denny Hurley of Missouri came on staff in June. Bernadette Rossato. Bernadette came to the United States in July to visit and spent two days with us on set during our Livestream Broadcasts, July 4th and 5th. 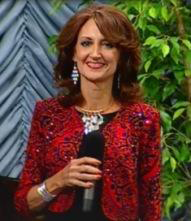 I came to know Bernadette back in the 1980’s when she attended Water of Life Christian Training School. In 1986, at the direction of God, I told her she must go back to France and she did. She returned to Texas in 1989 for a visit and that was the last time I saw her until her visit this year. Bernadette is a woman of faith, and I asked her to join me on the set while she was here visiting. While listening to Bernadette share, I began to see how God took her from one place to another to work out his purposes for her life. Her testimony is such a blessing to me—the faithfulness of God to a person’s life. Kathy Mai and Denny Hurley. Denny and Kathy were married on June 6, 2014. Seated in Heavenly Places. Beginning about the first part of June, as I would be praying, I began to see visions of what appeared to be moving lines of light, side by side, with dark lines. I saw these things in visions for a number of weeks and on the afternoon of June 26th, as I was praying with Terre Brown, I sensed the presence of God like I hadn’t felt since 1958 when God visited me in Columbia, Missouri. I described to her what I was seeing and as I continued to pray, the vision enlarged and I realized I was seeing heaven, with its mansions and its streets of gold. I continue to see daily, as I pray or talk with people in fellowship, the heavens are open and the streets are gold and very visible. Interviews. In June the Lord directed me to conduct interviews with Water of Life music ministers during our Livestream Broadcasts: the Mai and Alvis families, the Mike Peters family, Terre Brown and family and the Water of Life Quartet. Biking and Praying. Tuesday August 16th, the Lord spoke to me, directing me to ride my stationary bicycle. I had not ridden any bike since June 2009. Shortly after beginning to ride I discovered I could pray strong prayer as I rode. Since 2009, I have overcome much, my faith and love has been perfected more, and God has strengthened me to ride again. The first week I rode a total of 81 miles, averaging 14 miles per hour. I continued to ride every week with the miles increasing consistently and by the middle of November I rode 135 miles in a week. Even during the weeks when the warfare and affliction was great, God strengthened me to push through to 100 miles. I thank him for His strength; I just give praise to Jehovah and Jesus. Building Renovations. In 2014, renovations were made to the interior of the building which included all of the restrooms and the foyer. Improvements were made on the outside as well. The exterior was completely repainted and new plantings were added. Vision - Healing of God’s Daughters. September 10th I woke hearing the song Holy Highway and seeing a vision of seven women, dressed in blue with lavender. The vision continued to change and lasted about an hour and there was music throughout, songs I knew and I said, “I believe this is the healing of God’s daughters,” I began to weep; I knew I was interceding for God’s daughters to be healed. That is found in Jeremiah 8. The healing of God’s daughters is part of the great deliverance that God promised me in 1987. Son of God. September 28th, I awoke at 4:00 AM, thinking many things and heard the words, “manifest sons of God.” Today God is telling me I am a son of God. Just a couple weeks prior, the Lord told me I was a friend of God. Gift to Salvation Army. The Lord put it in my heart to give the sound and video equipment used in our Joplin meetings to the Salvation Army. Kathy Mai and Denny Hurley delivered it to the Salvation Army October 3rd. The Lord divinely intervened and made arrangements for the Salvation Army to donate it to a church that was starting a youth ministry with the young people of the church. The Lord provided everything that would be needed to sing, record and video, including a piano keyboard, for this group. I know the people were blessed and we were blessed to be a part of it; it was a work of the Lord. Who Am I and Who Are My People? On Saturday morning, November 29th I was in much pain and Kathie spoke to me and said, “You are perplexed, but not in despair.” I knew she was right and asked her to read that to me out of 2 Corinthians 4:8. I had never been in the state I was in at that moment, never. I didn’t know what was going on. I began intercessory prayer—I found that was the only thing I could do. I felt as though I was in captivity with nothing I could do to help. I had been an intercessor for many years, but things were changing. That’s what was taking place. The intercession, by the Spirit, itself, has made a change in my life. We did not broadcast live and later that morning, I was in my office speaking with Terre Brown and I made a statement, “Who am I?” She read to me 1 Chronicles 29: 13- 15, Exodus 3:11, and Exodus 32: 7-1. There were other staff who came in to pray with us and I continued to consider those words Who am I? and the men of the bible, David and Moses and David’s son, Solomon who had said those words. From that point on I began breaking through with weeping. During the following Sunday evening broadcast, I asked Terre to go to the piano and play the instrumental of I Have Returned, and I walked among my people. A few years back, I believed I could bring this people that are with me today, into the Kingdom. Today, I say, “Who am I, and what is my people?” Those that are with me today are my people. On December 31st, Terre Brown debuted the song, Who Am I? The title of this song ministered to me. David said, "Lord, who am I and what is my house?" What is my house that God had promised to David? David said, "Establish it forever and do as thou has said." And that's what God did. And that is my prayer and that's what God has done for Doyle Davidson and all those in my house; for my daughter Kathy Mai, her children and all that walk with me—my house.